The logo of Swiss pharmaceutical company Novartis is seen on its headquarters building in Basel, Switzerland. 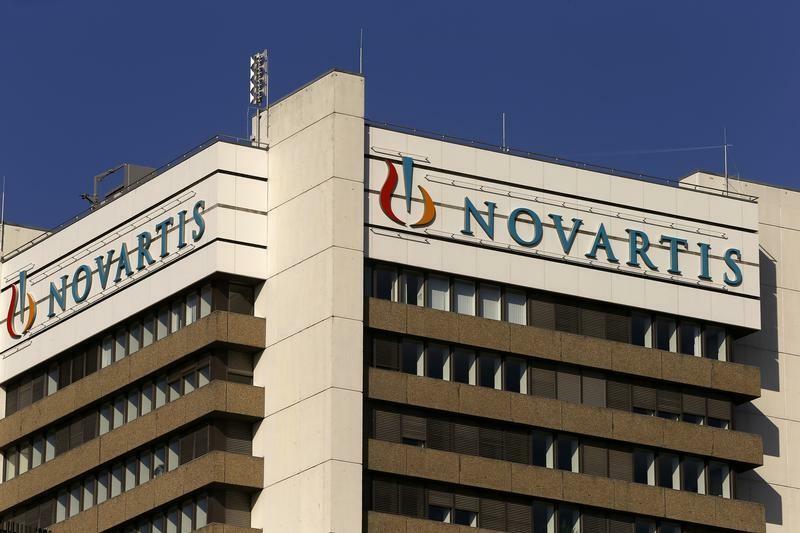 ZURICH - Swiss pharmaceutical giant Novartis said Tuesday a strategic review of its eye care unit showed that Alcon can deliver strong growth, but that a possible spin-off or listing is at least two years away. While a decision on Alcon's fate had been expected by the end of this year, the firm said it wanted further quarters of sales growth and better profit margins before taking a decision, meaning that no action was likely before the first half of 2019. Novartis also released Tuesday quarterly results which showed a 7 percent increase in net profit to $2.08 billion on a 2 percent increase in sales to $12.4 billion. But over the first nine months of the year net profit was down 1 percent to $5.7 billion. Novartis confirmed its annual outlook of sales similar to the $48.5 billion registered last year and operating profits near or slightly below the $12.9 billion recording in 2016. The firm said it had made significant progress in its strategic review of Alcon, part of which was a decision to transfer over-the-counter Novartis ophthalmic products into the division beginning in January. As part of the review it "updated Alcon's strategic plan which confirms that it has the potential to grow sales at or above market while delivering profitability at least in line with the industry," the company said in a statement. Sales rose by 6 percent in the third quarter to $1.5 billion. Over nine months, the rise in sales was 3 percent to $4.5 billion. "Alcon delivered strong growth in both sales and core operating income," chief executive Joseph Jimenez said in the statement. Numerous analysts had doubted Novartis would come to a decision on Alcon's fate by the end of the year given the upcoming change in leadership. Swiss pharmaceutical giant Novartis said Tuesday a strategic review of its eye care unit showed that Alcon can deliver strong growth, but that a possible spin-off or listing is at least two years away. While a decision on Alcon's fate had been expected by the end of this year, the firm said it wanted further quarters of sales growth and better profit margins before taking a decision, meaning that no action was likely before the first half of 2019.